Or, get it for 222400 Kobo Super Points! 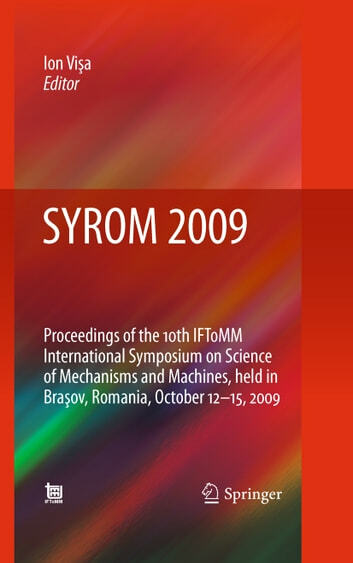 SYROM conferences have been organized since 1973 by the Romanian branch of the International Federation for the Promotion of Mechanisms and Machine Science IFToMM, Year by year the event grew in quality. Now in its 10th edition, international visibility and recognition among the researchers active in the mechanisms science field has been achieved. 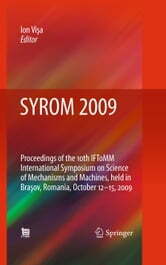 SYROM 2009 brought together researchers and academic staff from the field of mechanisms and machine science from all over the world and served as a forum for presenting the achievements and most recent results in research and education. Topics treated include conceptual design, kinematics and dynamics, modeling and simulation, synthesis and optimization, command and control, current trends in education in this field, applications in high-tech products. The papers presented at this conference were subjected to a peer-review process to ensure the quality of the paper, the engineering significance, the soundness of results and the originality of the paper. The accepted papers fulfill these criteria and make the proceedings unique among the publications of this type.